Check out the MGFA showcase this Sunday at Canad Inns Stadium during half time of the Bantam Finals! Also come visit any of the women of the Manitoba Fearless Women's Tackle Team for more information on how to sign up your daughter for the 2013 season throughout championship weekend! Football Manitoba is pleased to present Championship Weekend 2012 at Canad Inns Stadium on Saturday, October 27 and Sunday, October 28, 2012. Please distribute and profile copies of this memo to appropriate members of your club, team, league or association. This memo may also be viewed at www.footballmanitoba.com in the section identified as "Championship Weekend". The content of this memo is subject to change. Bombers bring back Women's Football Clinic! WINNIPEG, MB – The Winnipeg Football Club is pleased to announce the return of the highly popular Women’s Football Clinic on Sunday, October 21st at Canad Inns Stadium. Participants will hit the turf to test their skills against some of the Bombers’ best in a series of on field drills, defensive and offensive “chalk talk” with Blue Bomber coaches and alumni, take part in a locker room tour and attend a post event reception with players. This year’s clinic will bring support and awareness to Osborne House, a local women’s shelter. Proceeds from the registration will go towards this organization. Registration for the day’s events will start at 8:30am and the on field activities run from 9:30am-4:00pm. Post event reception will run until 6:00pm. Cost is $80.00 plus GST and includes lunch and post event meal. Tickets and further information is available by calling the Bomber Office at (204) 784-2583. Congratulations to the teams today! Next week the finals will be held. Fighting for the championship will be the St.Vital Mustangs vs the Charleswood Broncos. Consolation game will be the East Side Eagles vs the North Winnipeg Nomads. Come on out to the St James Rods Field 7:00 pm on July 5th to take in the final games of the 2012 MGFA season. Regular season came to an end last night. Next week's schedule is as follows. 1vs4 Mustangs vs Nomads 2vs3 Broncos vs Eagles Game time 7 pm Thursday at the St James rods. Last night at the Rods field had the Mustang's take on the Broncos and the Nomads against the Eagles. Both games were close through out the night and were played very well by all players! Season Standings will be posted tonight. A Big thank you today to BT winnipeg for having the MGFA Nomads on the air! Thank you to the North Winnipeg Nomads for all their support of the players this season and today! Even club President Nathan Yamron was on site helping out today. If you are interested in checking out a game feel free to come down Thursday night 7 pm at the St. James Rods. One clarification, we appologize the the MGFA Nomads were introduced for one spot as the Manitoba Fearless. The Fearless is a Senior Women's Program. The MGFA includes 4 clubs, the North Winnipeg Nomads, The Charleswood Broncos, the St Vital Mustangs and the Eastside Eagles. There are 2 Women's teams in the Province for ages 16 and up. The Manitoba Fearless and the North Winnipeg Nomads Wolfpack. Congratulations to all the girls who played in the first game of the MGFA 2012 Season! Thank you to all the fans for a very positive night. There were big runs, big hits, and most importantly big smiles from the players. Keep up the great work. Join us next thursday as the St. Vital Mustangs take on the Charleswood Broncos and the East Side Eagles take on the North Winnipeg Nomads. All games played Thursday nights at the St. James Rods , kcik off is 7:00 pm. A big thank you goes to the Rods for thier support of the MGFA, what a great facility and Club! 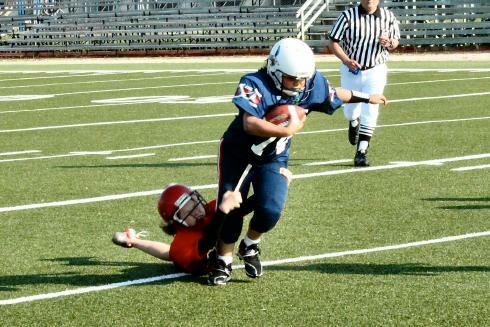 The Manitoba Girls Football Leagues Kicks off this Thursday! Come out and join the Girls of the Grid Iron as they tackle stereotypes this Thursday night, May 17th at 7:00 pm at the St. James Rods field .  The MGFA is starting it's second year and includes teams from the East Side Eagles, St.Vital Mustangs, Charleswood Broncos, and the newest addition the North Winnipeg Nomads. Good luck to all the teams! Great start with the early Registration the past couple days! Good to see so many Vets coming back! And welcome to all the new players! Please email mbgirlsfootball@gmail.com to arrange a time to register your daughter! Check out our updated Web album and You tube Channel links are on the side bar . The MGFA is proud to announce that they are expanding! We have opened up the program to allow all interested clubs to submitt teams! We have also expanded the age divisions. We now can register girls between the ages of 9-14! They will play in different age groups to ensure that there is only a couple years difference. We hope to announce the Clubs that will be taking part in the program in the next couple of weeks, But if your home club does not have a team we will find a team for you!